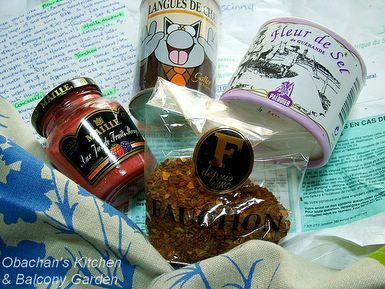 Obachan's Kitchen & Balcony Garden: Goodies from Paris!! So glad the package arrived safely and that you like it! Oh congratulations. Isn't it great to receive foodstuff from another country?! I have that salt at home and absolutely love it. Thank you so much, lpc. 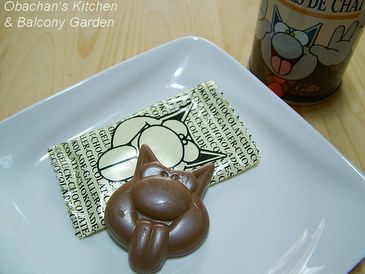 Your goodies definitely brightened up my culinary life. It sure is great! So glad to hear that you have that salt, too. I’m sure I’ll be making something with this mustard pretty soon. It is so very tempting! Yes, it’s absolutely great to receive food stuff. I can enjoy it by seeing it, smelling it AND tasting it!